High blood pressure is a common problem today, with 30% or more of Americans suffering from it. Stress is also a huge issue that afflicts many people, and the two problems can often be related. Many times, getting a handle on your chronic stress can help you lower your blood pressure. Some Australian researchers believe that many cases of high blood pressure can be avoided entirely with the use of specific breathing exercises (Aeria, 2017). How Can Breathing Decrease Blood Pressure? Researchers have found that there are neurons connecting breathing to blood pressure. In animal models, researchers were able to prevent the development of high blood pressure by altering the activity of those neurons. The takeaway lesson from this is that we may be able to prevent the development of essential hypertension, which has no known cause, in middle age by doing certain breathing exercises as adolescents and young adults. During adulthood, the neurons connecting breathing and blood pressure become fixed, but if their activity is altered before that happens, it’s possible that high blood pressure may be avoided. 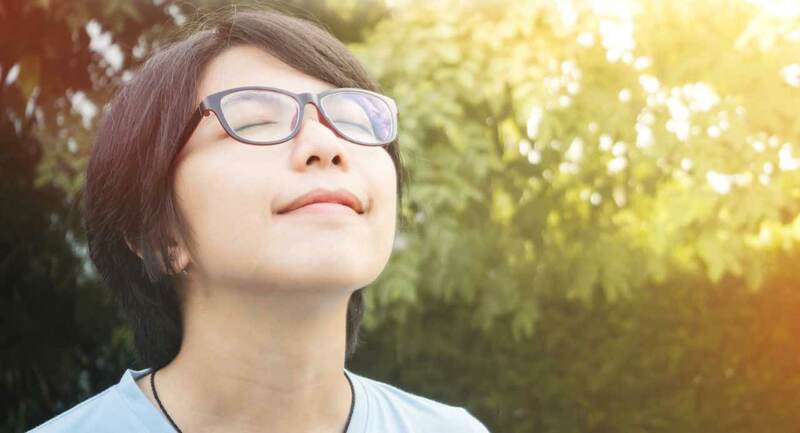 Regardless of their effect on the later development of hypertension, deep breathing exercises can decrease stress, increase relaxation, and help with sleep problems. It’s never too late to begin practicing deep breathing exercises for their stress relief properties, but in light of this recent research, it may be extremely beneficial to teach children and young adults to incorporate this technique into their lives early. Aeria, G. (2017, April 27). Breathing your way to preventing high blood pressure. Retrieved from MedicalXpress.